Inspired by Nature Bursting with delicious, natural goodness. Our new Infusions have a beautiful combination of the elegance of spices, herbs and their amazing functional ability. The entire range is elegant in terms of its clarity and brightness and is beautifully rich, both in its taste and fragrance. We emphasised authentic, Sri Lankan spices, so there is a wonderful provenance. Gingerroot, for example, from some of our tea gardens - used traditionally as part of pharmacopeia in Sri Lanka and Ayurvedic medicine, cinnamon spice which is based on the bark of the cinnamon plant for anti-inflammatory, antioxidant-potent, anti-microbial, and anti-diuretic benefits. 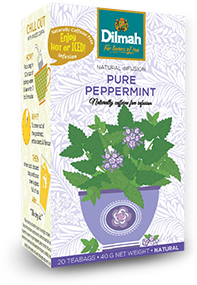 Delicious in taste and potent in wellness … what more can you ask for? Inspired by Goodness Natural goodness with a real flavour hit. 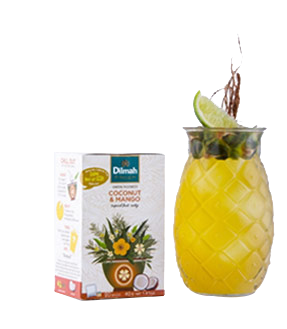 The combination of taste and wellness in our Dilmah Infusions is a combination of traditional, Ayurvedic ingredients – cinnamon, ginger, turmeric, cardamom – as well as other beautiful ingredients like tangerine, rose, and grapefruit giving spectacular aromas and taste – so you have delicious tasting beverages which you can enjoy hot or iced, but also giving you that potent natural goodness. Recipes Inspired By Nature Naturally delicious goodness. 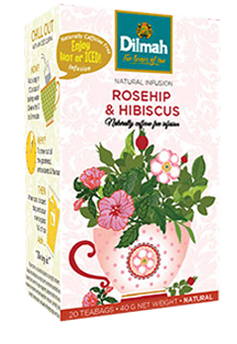 Tea Mixology has now become a familiar term in relation to beverages made with tea. Ranging from cocktails and mocktails to tea shakes and tea shots there are innovative recipes to suit every palate and every occasion. Enter the delightful world of tea that suits a 21st century lifestyle - tea beverages made with only the finest quality Ceylon Tea - Dilmah. 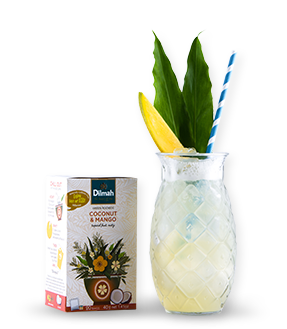 Dilmah tea brings new life to mixology as its sophistication, natural goodness, flavours and infusions create original and exceptional cocktails, mocktails and traditional hot beverages. It is a taste and sensory adventure. Influenced by Sri Lankan Ayurveda- inspired by traditional and natural healing ; ‘Turmeric’ has been found to improve brain function like Alzheimer’s and depression, and also help in preventing cancer. Bringing you purity of origin and provenance: Dilmah Infusions. Influenced by Sri Lankan Ayurveda - inspired by traditional and natural healing; ‘Cocoa’ improves brain health, cholesterol levels and relieves bronchial asthma. It is abundant in antioxidant and antidiabetic properties too. 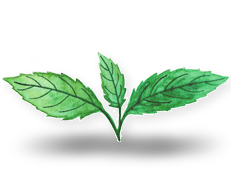 Influenced by Sri Lankan Ayurveda- inspired by traditional and natural healing; 'Holy Basil' can improve sleep patterns, protect respiratory health and help in digestion. 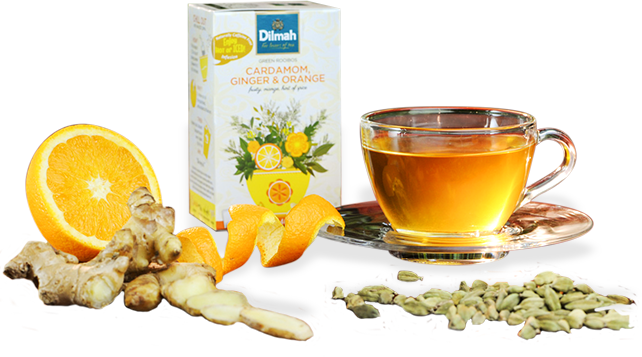 Bringing you purity of origin and provenance: Dilmah Infusions, for goodness that tastes great. 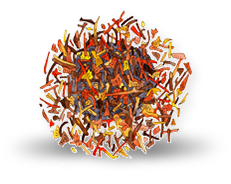 Influenced by Sri Lankan Ayurveda - inspired by traditional and natural healing; ‘Moringa’ can help control blood sugar, is a relief from insomnia, and can improve immune function. 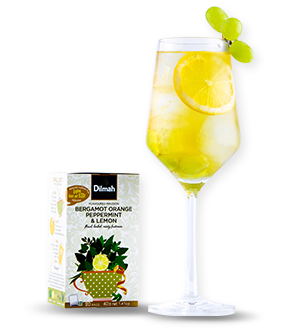 Dilmah Infusions, for goodness that tastes great. Influenced by Sri Lankan Ayurveda - inspired by traditional and natural healing; ‘Black Pepper’ is an anti-inflammatory ingredient that can also help in weight loss. Bringing you purity of origin and provenance: Dilmah Infusions. Dilmah Infusions, filled with natural ingredients, and influenced by Sri Lankan Ayurveda- inspired by traditional and natural healing: Crafted by nature, and abundant in goodness. Natural goodness, handpicked by artisans, bringing you purity of origin and provenance. 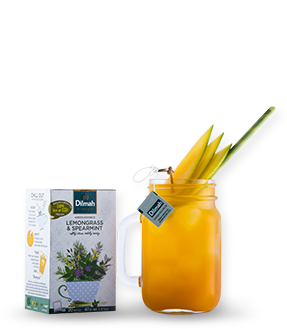 Abundant in goodness and crafted by nature: Dilmah Infusions. Inspired by Sri Lankan Ayurveda; 'Cardamom' a herb considered to be one of the healthiest in the world has been found to be cancer preventive, heart protective and can help in improving one’s blood circulation. Bringing you purity of origin and provenance: Dilmah Infusions offer goodness that tastes great. 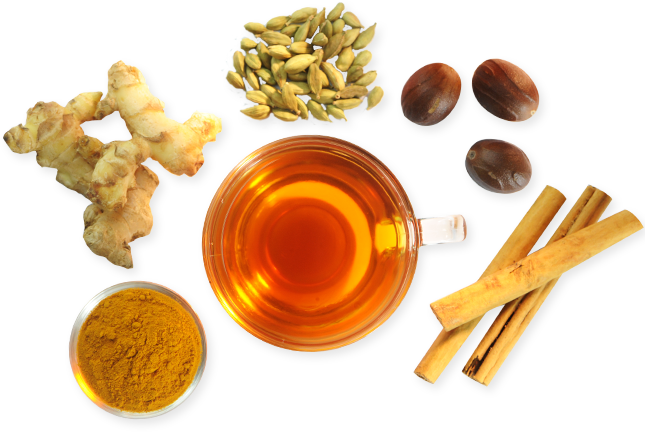 Bringing you purity of origin and provenance: Dilmah Infusions offer goodness crafted by nature. Inspired by Sri Lankan Ayurveda; Chili. 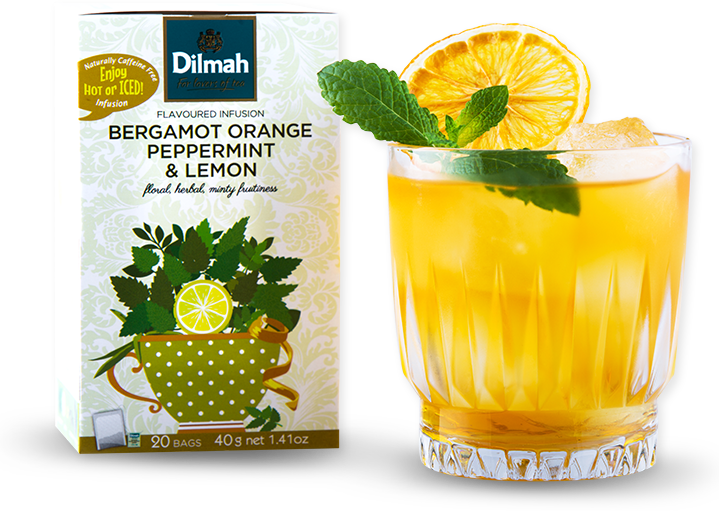 Bringing you purity of origin and provenance: Dilmah Infusions: For Goodness that Tastes Great! Bringing you purity of origin and provenance: Dilmah Infusions offer you goodness that tastes great. Inspired by Sri Lankan Ayurveda; 'Cinnamon' is rich in antioxidants and has anti-inflammatory properties too. 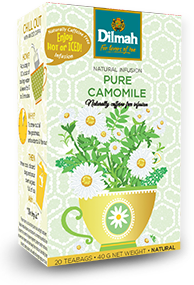 It benefits are plenty, from its wound healing properties to possibilities of lowering blood pressure. 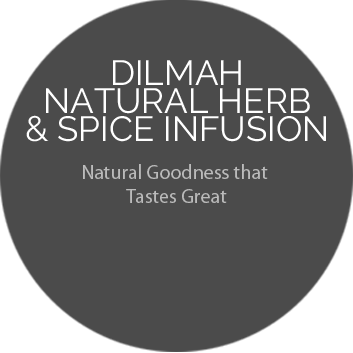 Dilmah Infusions; Crafted by Nature. Bringing you purity of origin and provenance: Dilmah Infusions offer you goodness that tastes great. 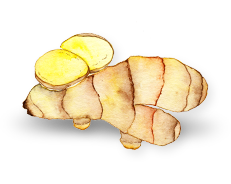 Inspired by Sri Lankan Ayurveda; 'Ginger' is consumed by many to relieve pregnancy-related nausea and vomiting. Inspired by Sri Lankan Ayurveda; 'Lemongrass' is rich in antioxidants, anti-inflammatory and anti-diabetic properties. Bringing you purity of origin and provenance: Dilmah Infusions offer you goodness that tastes great. 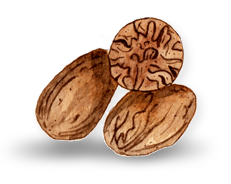 Inspired by Sri Lankan Ayurveda; 'Nutmeg' has the ability to relieve pain, soothe indigestion and strengthen cognitive function. Bringing you purity of origin and provenance: Dilmah Infusions offers goodness that tastes great.